I was web surfing away the other night when I stumbled upon a banner advert for istockpohoto.com. Imagine my surprise when I saw one of my own clip art items that sells on their website appear in the ad! This is either phenomenally lucky (since they claim to have 9,000,000 images up there), in which case I'm off to buy a lottery ticket and scratch card right now, or somehow they're using my browser's cookies to display images it knows I designed. Whichever is true, it's a little freaky and weird. 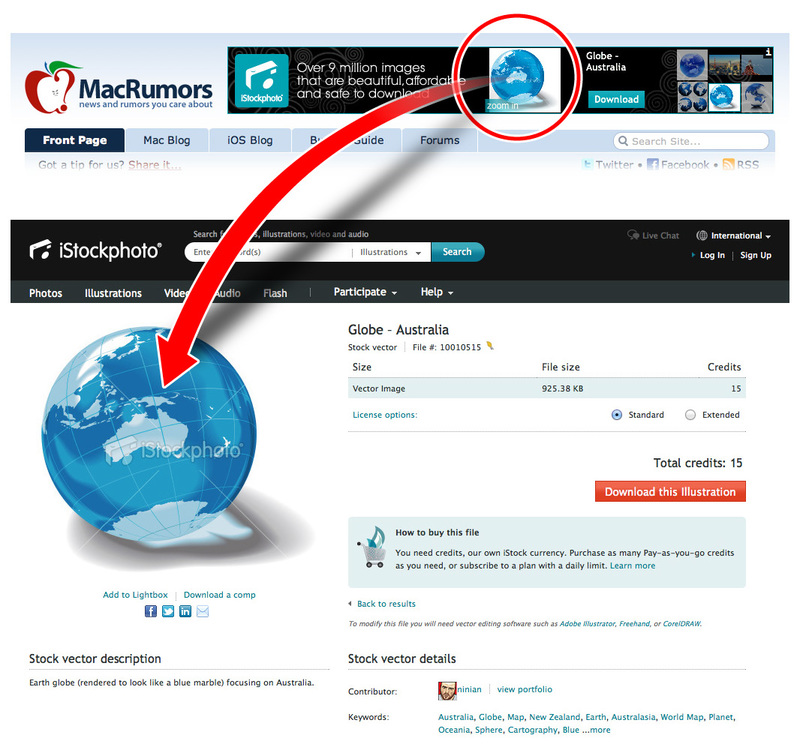 BTW, my istock portfolio can be found here, if anyone wishes to increase my pocket money! Off-topic: great infographics in your portfolio. I'm currently learning isometric graphics. Can you suggest any tutorial or books. Would greatly appreciate!